Putco offers a wide range of accessory products that will provide your ride with the sleek yet elegant styling that will definitely suit your taste. Made from premium and durable materials, each Putco product is designed to ensure perfect fitment and functionality. 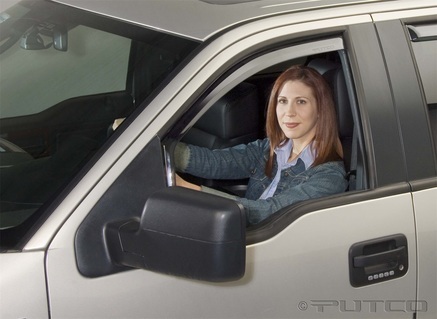 Going in and out of your vehicle doesn't have to be difficult. 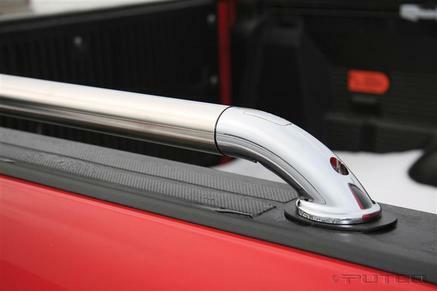 Boss Bars Step Bars are specially designed to provide you with easier access in and out of your truck while adding that rugged appearance loved by most truck enthusiasts. 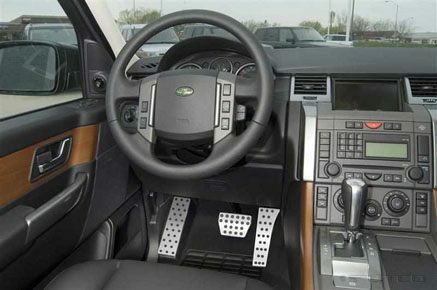 It features anti-skid tread pads for a secured and safe footing. When it comes to customizing your ride's front-end, Putco will never let you down. Included in their product line is a wide range of handsomely designed Grille Inserts that will surely add an elegant appearance while providing an extra air flow to your vehicle. Putco Grille Inserts are made from premium quality materials that can withstand the test of time. Fenders are used mainly for protection. But that doesn't stop Putco from manufacturing a product that can help Fenders protect itself as well. Putco Fender Trims are made to provide extra shield for fenders against damage. Made from the finest 304 Grade stainless steel, this sleek-looking Fender Trim is designed with both function and style in mind. 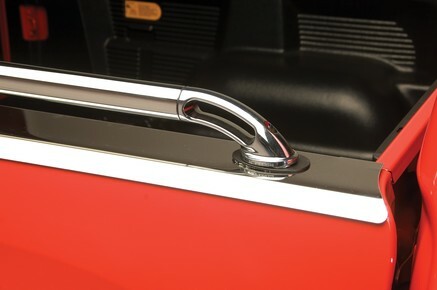 Complement your interior's chrome accent with Putco's Liquid Billet Pedals. Offered in either Street or Track design, these model-specific Billet Pedal kit comes with Gas and Brake pedals (parking brake and clutch pedal when applicable). Liquid Billet Pedals are made of 1/4" Heavy Gauge Aluminum, which guarantees durability and long-lasting performance. Reduce the rain and water sprays and mud collecting on the underside of your vehicle with Putco Mud Flaps. Equip your vehicle with either the form-fitted (with contoured design) or the stainless steel (with standard design) ones, whichever suit your taste. 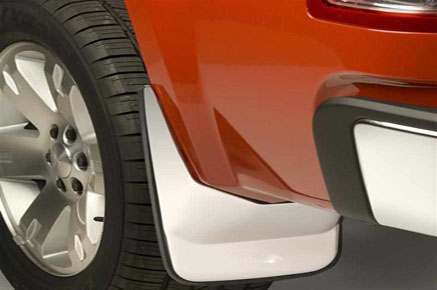 Putco Mud Flaps are also crafted to perfectly match other Putco Accessories to achieve the complete look! Maintain your vehicle's side body finish and shield it against scratches and dents caused by road debris. 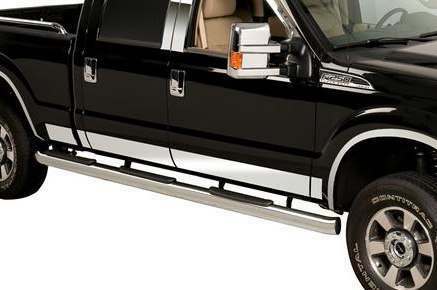 Dress it up with Putco Rocker Panels and see the difference. 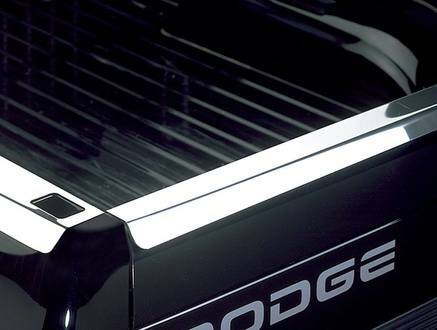 Constructed from durable stainless steel, these rocker panels provide additional styling with full functionality. If you're looking for ways to dress up your truck, look no further because this trim will give your truck that stylish booze that you want. 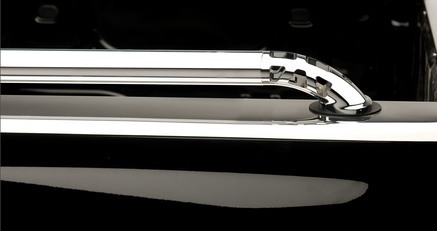 You can easily mount this chrome accent to your truck and you won't have to break a sweat and break the bank with this! First impressions last and when it comes to your vehicle, make sure that it's going make a good impression. 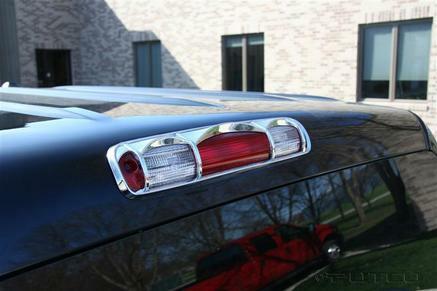 With this third brake light cover, you will be surprised at how it can stylishly impact your vehicle. And there's no need. to take out the drill just to have this installed! 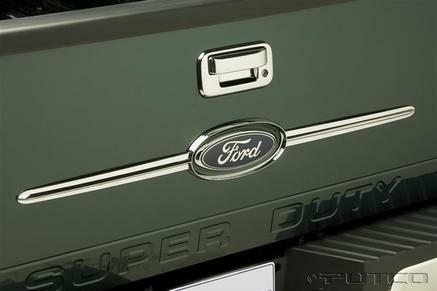 Don't let a toolbox stop you from adding a side rail on your truck bed. 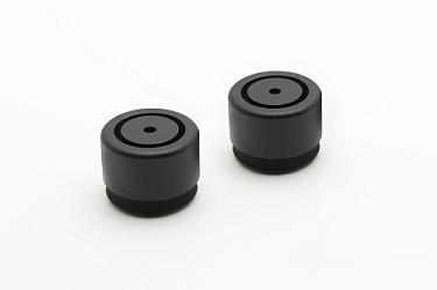 Diamond Donuts by Putco is an adapter designed to allow side rails to be installed, hassle-free on a toolbox-equipped truck. With a little and careful drilling, Diamond Donuts allow an easy and simple attachment of side rails. You can tie down virtually anything with this. Show them who's boss and make your truck as functional as ever. 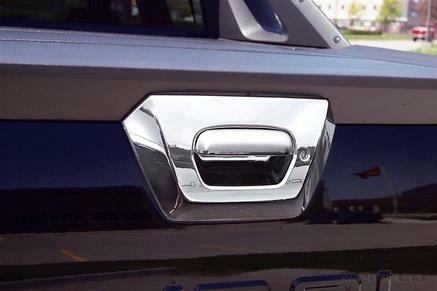 This also adds a sleek touch to your truck, thanks to its stainless steel material that also adds that extra shine. It's no-drill installation makes it even better. Definitely a-must have! Do more with your truck with this bed rails. Plus, if you are looking for an instant style upgrade, this is a great addition. Made from tough stainless steel material that gives superior strength to the rail that ensures you that you will be using this for many years to come. 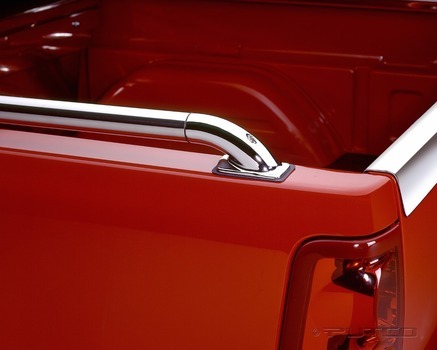 A truck that is fully functional has never looked this good until this side rail. Its shine adds to the appeal of your truck while at the same time, it delivers maximum durability that can carry heavy cargo and ensure that they stay in place when you're on the road. Load up your truck, tie it down tightly and you're all set. All of these becomes possible and easy with this truck bed side rail. This is a worthy investment that is meant to last you for years and at the same time, provide you with that much needed shine. With a tough construction, your truck gets more functionality that you desire and at the same time, it delivers that extra shine that makes your truck look even more attractive. This also ensures that your cargo stays safe and in place while you're on the road. Your truck gets even better with this. 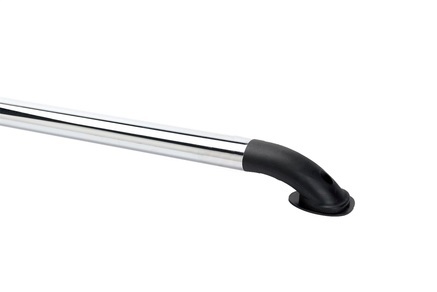 Make your truck even more functional with this side rails. It is engineered to deliver you the strength that you need in order to haul more items. Plus, it adds shine to your vehicle perfectly complementing it, which then boosts its style. This is a worthy addition that will last you for a long time. The solid die-cast construction guarantees ultimate strength that will allow you to carry heavier cargo at the back of your truck. 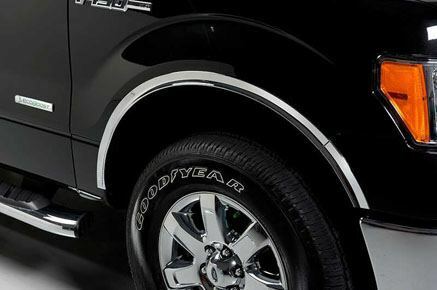 Its added shine is a bonus that will instantly make your truck look even more appealing. Its NeverRust technology guarantees that it will maintain its shine for a long time! 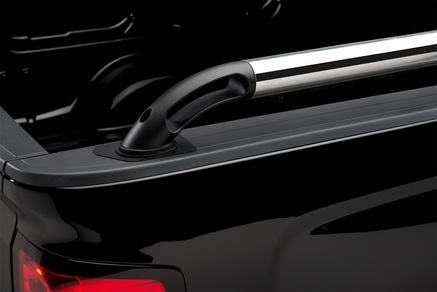 Made from heavy duty stainless steel, you can now keep your cargo area safe and looking good at all times and for a long time! This will keep the edges of your truck box protected. They are built tender rough treatment and conditions. Even if you have a tonneau cover, you can still use this. Prevent your truck bed rails from taking a beating. Ensure that they are protected and there is no better way to protect them but with this! Its tough construction guarantees the ultimate protection that will last you for many years. Plus, it's also very stylish that keeps your paint job flawless! 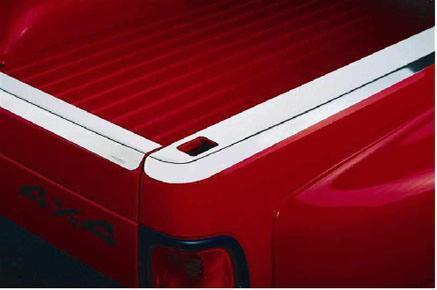 Ensure top of the line bed protection with Putco's Truck Bed Protection products. Since this part of the truck is the most exposed to weather elements, Putco's Top of Bed Protections are made from NeverRust™ Stainless Steel for optimum rust prevention and are designed for easy installation. 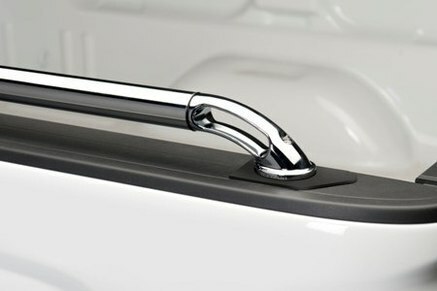 Elegant styling is just an arm's reach away with Putco's Chrome Trim Accessories. Made from the finest chrome material, these accents are specifically designed to enhance your vehicle's appearance while providing additional protection to the covered part. 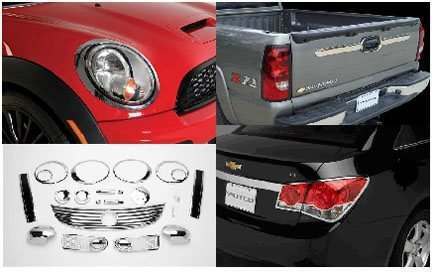 Putco offers a wide range of Chrome Trim Accessories for your Door Handles, Headlights, Grilles, and many others. Protect your hood area against road debris with the uniquely designed Putco Element™ Hood Shields. 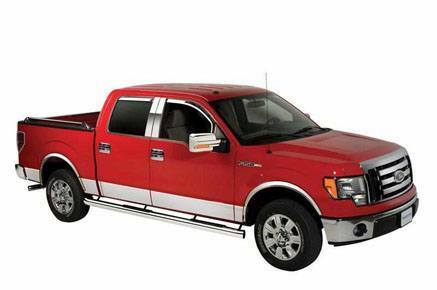 It features an injection-molded construction that adds style and contoured fitment to your truck. Available in Chrome and Tinted finishes that allows you to choose the look that will suit your taste. 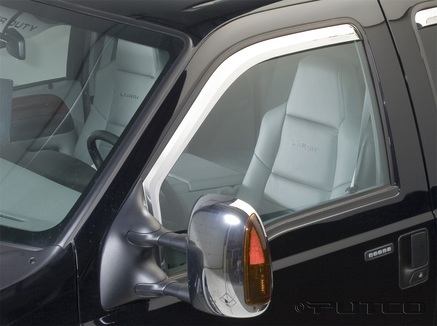 Constructed form high quality ABS material, this side window vent from Putco will ensure you that it will last and protect your vehicle from harmful road elements. 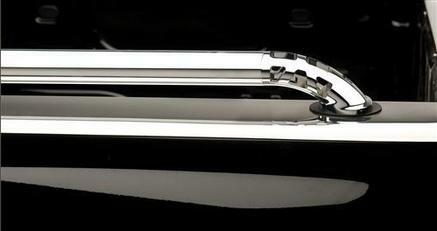 It will also give your vehicle's style a boost that you will love, thanks to its chrome finish. Installation of this is very easy! 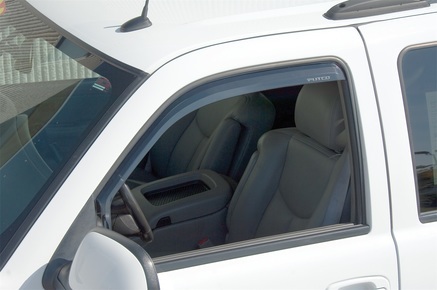 Breathe in the fresh air with your windows down while you cruise down the streets with the Putco window visor. Constructed from tough material, this will keep your vehicle protected from harmful road elements and the weather. To make it even better, installing this window visor is very easy. All you have to do is tape it on and you're all set! You can now crack your window open even when it's raining outside because you can guarantee that this window visor will prevent water to come in. It boosts air flow in your vehicle and lets you enjoy the cool breeze without having to worry about elements that can cause damage to your vehicle interior! 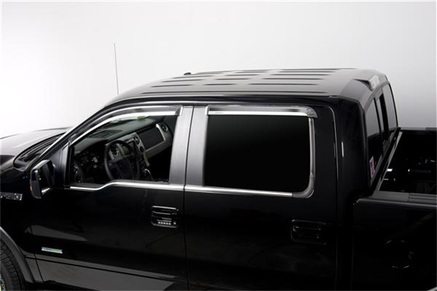 Keep your ride protected from the unpredictable weather and harmful road elements with this tinted window visor. Made from tough material, it also offers a stylish look to your vehicle that you will love. Now, you get to protect your vehicle and at the same time remain sleek and stylish! If you want an instant look upgrade for your vehicle, this is definitely your best choice. Its polished finish will make your vehicle stand out. Plus, you can install it on your own! This will definitely give your vehicle a better look and feel that you will not regret. Go on and dazzle! 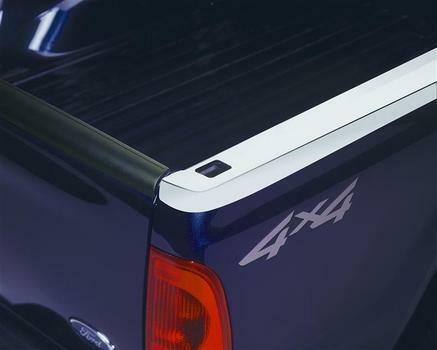 Now with this protection, you can guarantee that your tailgate will remain safe at all times. Even when you leave it at the parking, you don't have to worry about scratches and dings to it caused by reckless passersby or even vehicles. 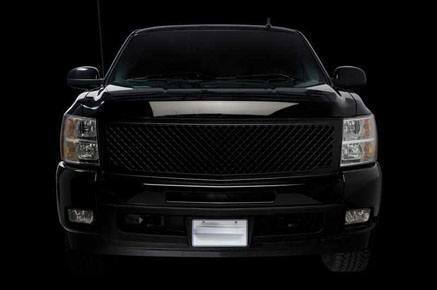 You are guaranteed that this will keep your tailgate protected from all sorts of damage. 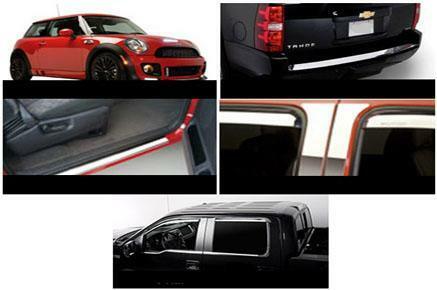 Not only does this tailgate cover protect your tailgate but it also adds a stylish look to your vehicle. So if you're looking for that bling, this is the perfect addition to your vehicle that won't make you go broke. Plus, it is very easy to mount! Definitely a-must have! Complete the customized look of your ride. 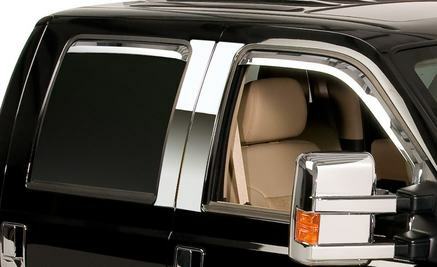 Putco offers Additional accessories such as Body Kits, Bumper Covers, Door Sills, Pillar Posts, and Window Trim Accents, that will perfectly match your desired styling. These products are made from the finest materials, crafted to the best standards to suit your needs. 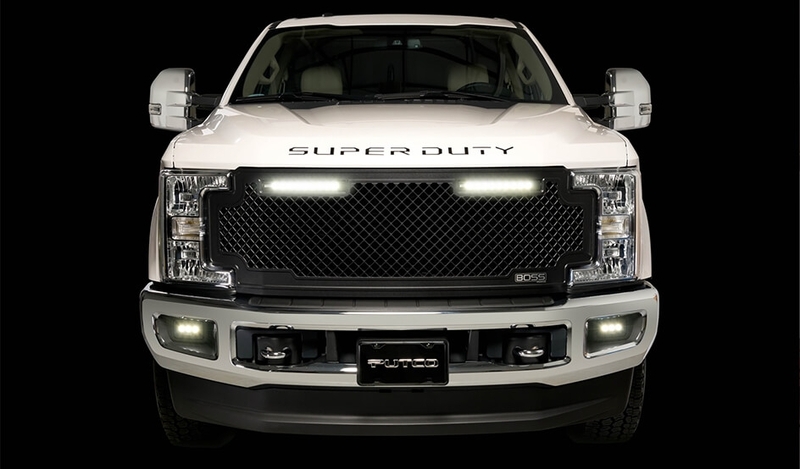 Located in Des Moines, Iowa, Putco has been providing the automotive industry with top of the line aftermarket accessories for over four decades. Each of their products is meticulously crafted and innovatively designed with style and optimized functionality in mind. Driven to become the leading Quality Accessory Automotive brand, Putco continues to create premium products to cater the needs of both enthusiasts and simple vehicle owners. For more information on Putco, please visit the Putco official website.